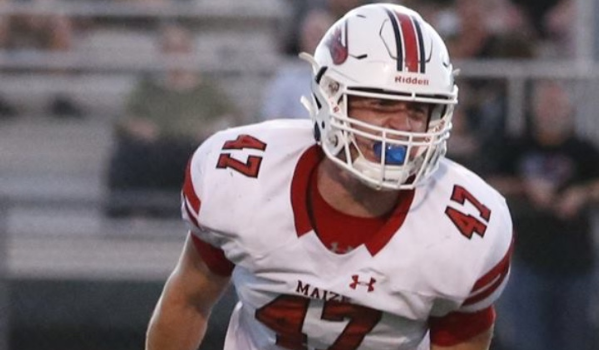 Over 330 high schools play football in Kansas from 6-man to 6A, major newspapers get 176 selections to pick across eight classes for all-state selections, we get just 100 seniors to pick and the next 50, plus honorable mention selections by class border to border as we release the Sports in Kansas Top 100 Football Players from the 2018 season. Our focus is to entirely represent the state of Kansas in all shapes and sizes. Input from media members and a media panel across the state helped finalize this team selected by Chet Kuplen of Sports in Kansas. Others that help in postseason honors include Ben Mitchum (Central/Western Kansas) and Conor Nichol (Western Kansas) who is a Sports in Kansas contributor during the football season. This is not a recruiting list it's based off the 2018 high school football season in Kansas only and the players aren't ranked 1-100 in the Top 100, they are listed alphabetical by first name. ATTENTION: Players on list are elgible for a Top 100 senior, next 50 or honorable mention all-state patch for letter jacket, we are the only place with our logo on them: email Chet Kuplen at sportsinkansas@gmail.com to order. ATTENTION: Players on all below lists are eligible for a Top 100 Senior All-State honorable mention patch for letter jacket, we are the only place with our logo on them: email Chet Kuplen ASAP at sportsinkansas@gmail.com to order.